It’s always an adjustment when someone new shows up – whether in your neighborhood, in an elected position (as is now during voting season), or at the office. But when it happens, we have the opportunity to welcome the change in a positive way. 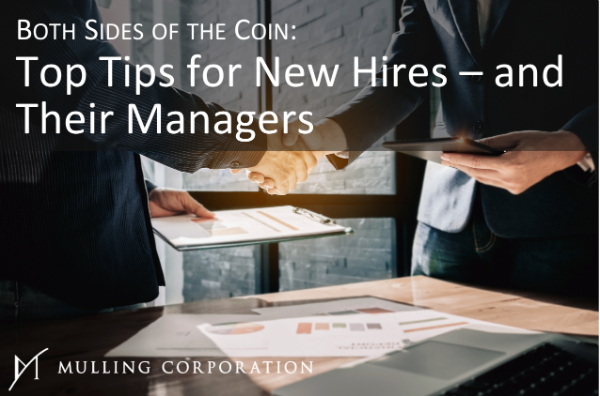 When it comes to new hires at work, following a few simple tips can mean the difference between retaining a new employee, or not retaining them for the long term. Here’s how you can help make a new hire a part of the team. Roll out the welcome mat. Be intentional about the new person’s first days in the office. Establish an onboarding process well ahead of their start date that includes setting up devices, preparing required documents, and identifying key team members who can serve in an ambassador role once they arrive. Set them up for success. Remember that a new hire won’t be familiar with your particular company culture. Give them a leg up by specifically addressing areas they need to know to begin fitting in. This can be done through in-office training, a handbook, or a video format. Also remember that different departments can have different sub-cultures. Not relaying these differences can lead to a unsuccessful onboarding process. Practice patience. After searching for the right candidate, it can be easy to check the box and get back to work. But someone new to the team may not be familiar with your management style, so expect a learning curve. A new employee is usually eager to fit in, so take time to learn each other’s work style right from the start. What if you are the new hire? Here are a few tips to succeed from the start. Do your research. Before your first day on the job, make an effort to further familiarize yourself with the company you’ll be working for. Ask questions about what you’ll need and who you’ll report to. Also, don’t forget to learn the dress code as well as the basics of company culture. Knowing these things ahead of time will show your new employer that you’re committed and dependable. Ease into your role. If you’re coming from another company it can be easy to fall into a “well, we do it this way” mentality. Remember that this is a new start with new personalities. 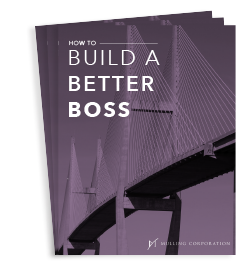 Get to know your new boss’s management style, as well as the way your team operates, before jumping in with suggestions for improvement. Establish your boundaries. Make a point to communicate your expectations about work life balance early on. Your work pattern sends a message to the rest of your team regarding what they can expect from you. After a few months on the job, they’ll continue to expect it. But, if you’re up front about your boundaries, it will lead to less frustration down the road. Whether you’re welcoming a new hire, or starting at a new company yourself, follow these few easy steps and you’ll position both yourself and your organization for success.